With clusters of glistening emerald-hilled isles and islets lined with white beaches, the Grenadines are a necklace of small island jewels that form an island state in the Windward Islands of the Caribbean’s Lesser Antilles. This exemplary itinerary will lead you to exploring idyllic beaches and crystal clear waters on the definitive Caribbean getaway. The itinerary begins and ends in beautiful St. Lucia with a voyage down to and back up from the southernmost islands in the Grenadines. CASTRIES, ST. LUCIA Your vacation begins when you arrive by plane at the airport in Castries, the capital city of St. Lucia. Castries was founded by the French in 1650 and named after Charles Eugene Gabriel de la Crois, Marquis de Castrie. 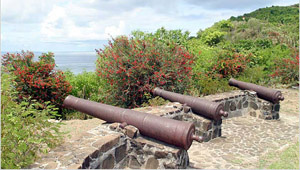 The capital was previously called Carenage, meaning safe anchorage. This is the port of call for cruise ships and most visiting boats as it boasts pristine beaches. As you step on board the private yacht which you will call home for the week, you will be greeted with a smiling crew ready to entertain your every whim. 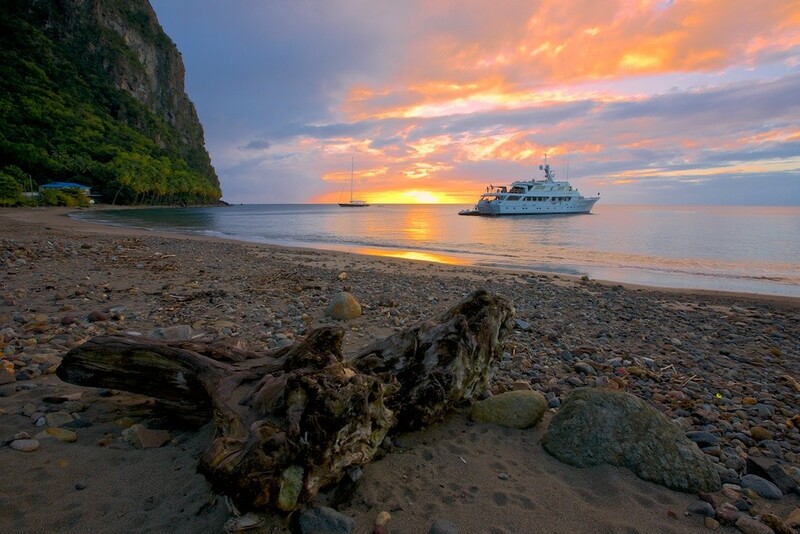 Get ready to sail away from Castries and cruise three nautical miles to nearby Marigot, once described by author James A. Michener as “the most beautiful bay in the Caribbean.” After a delectable lunch in the bay prepared by the on-board chef, head to the Pitons for the night. 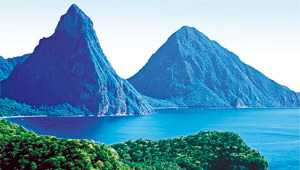 The Pitons are twin volcanic peaks that have become a symbol of St. Lucia and are a key tourist attraction. They now carry the official seal of an UNESCO World Heritage Site. BEQUIA On day 2, you may wish to sleep in during the cruise to Bequia, 60 nautical miles away, or wake up early and enjoy the ride. Bequia is the largest island in the Grenadines and means “island of the clouds” in Arawak. Its lush hills are much lower than the peaks of Saint Vincent and it boasts white sand beaches and clear blue water, perfect for snorkeling, diving and other water sports. 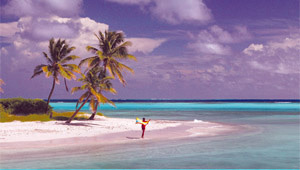 The island is a favorite among vacationers who enjoy its hospitable, laid-back atmosphere. The main port of Admiralty Bay hosts the town of Port Elizabeth, which has a charming waterfront where you can peruse many shops and boutiques. Don’t miss Bequia’s unique hand-carved whaling boat models. After a day-long excursion, enjoy dinner aboard under the stars or dine at one of the island’s many fine restaurants. UNION ISLAND After a relaxing morning in Bequia, you will depart in the afternoon toward volcanic Union Island, a 25-nautical mile journey. Union Island is also called the “Tahiti of the West Indies” due to its highest peak 900 feet above sea level, Mount Parnassus. 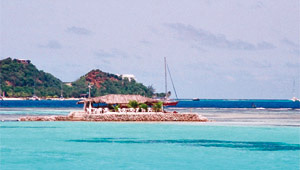 One of the smallest inhabited Caribbean islands, Union Island has a population of less than 3,000. Its rich soil produces many varied fruits, vegetables and especially abundant seafood. Spend your afternoon relaxing on the white sandy beaches underneath idyllic palms and swimming in the clear waters. Tonight, spend the night anchored offshore. TOBAGO CAYS Hop on the tender to go ashore, and spend the morning enjoying Union Island before setting sail to the Tobago Cays, a cluster of four uninhabited islands, protected by the world famous “horseshoe reef.” With their dazzling, palm-studded shorelines, the islands boast brilliant, powdery white sand, colored waters in unimaginable shades of blue and neon marine life. 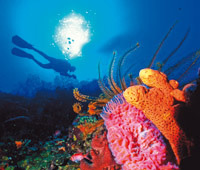 You can enjoy superb snorkeling and some of the finest diving in the Caribbean. MUSTIQUE After breakfast, you will sail away to Mustique. This small, hilly island has a large plain in the north and is essentially composed of seven valleys, each with white sandy beaches and wooded hills rising to a height of 495 feet. Mustique is a secluded 1,400-acre island surrounded by beaches of pure white sand. It’s a private retreat for barefoot luxury visitors and a peaceful setting where you can rest, recuperate and indulge. The island boasts an abundance of walking and horseback riding trails which you will want to explore. The fishing village at Britannia Bay is the commercial heart of the island where you will want to take pleasure in the French-run Sweetie Pie Bakery or Basil’s Bar & Restaurant across the road. Young Island Spend your morning lounging before having lunch on board still in Mustique before traveling the 15 nautical miles to Young Island. Imparting a sense of seclusion, Young Island is the perfect place to leave the world behind. It’s located just 200 yards from the shores of Saint Vincent and comprises 35 acres of lush tropical vegetation. Pitons, St. Lucia After leaving Young Island, it’s a three-hour sail up the beautiful coast of Saint Vincent back to the Pitons. The voyage takes in some gorgeous scenery. Gros Piton and Petit Piton shelter several bird species, giant ferns and wild orchids and locals describe the wider Soufriere area as the world’s only “drive-in” volcano. A total of 148 plant species have been recorded on Gros Piton, 97 on Petit Piton and the intervening ridge – among them, eight rare tree species. The Pitons are also home to 27 bird species (five of them endemic), three indigenous rodents, one opossum, three bats, eight reptiles and three amphibians. It’s a nature lover’s paradise. Enjoy your last evening on board with enticing culinary options accompanied by perfect wine and cocktail pairings, followed by some relaxing time in the jacuzzi or quality time with your guests. Know Before You Go Castries The taxi ride to the airport is quick and easy, five minutes from the main seawall. Ben’s Taxi St. Lucia will sort out transport to custom’s clearance. Contact Ben at cell: 758 484 0708, office: 758 459 5457 or e-mail: saltibusb@slucia.com. Marigot The locals are quite friendly and approach the yachts often. St. Vincent and the Grenadines tours The agent for St. Vincent and the Grenadines is Sam’s Taxi Tours. They have offices in St. Vincent, Bequia and Union Island. Contact Roslyn at office: 784 456 4338, cell: 784 456 4233 or e-mail: sam-taxi-tours@caribsurf.com.